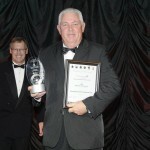 Northcote based Lifestream International Ltd took out the major award of Auckland Exporter of the Year (for total sales under $35 million) at the Air NZ Cargo Auckland Export Awards event held at the Langham Hotel last Friday evening. 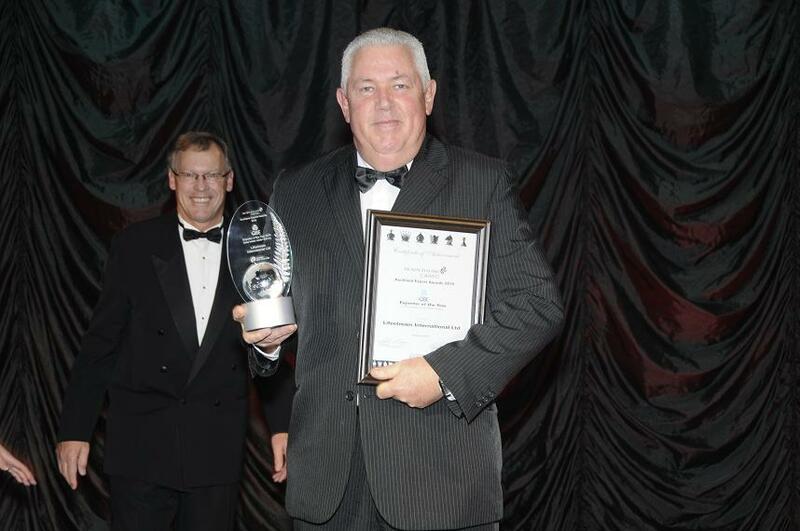 Lifestream’s International Sales and Export Manager Harvie Graham accepted the award from the awards sponsor Mr. Ross Chapman of QBE Insurance. This is the second major export award Lifestream has won in two consecutive years – Last year Lifestream won the Natural Products NZ Exporter of the Year award. Mr Graham said that the whole Lifestream team was “over the moon” to have won such a prestigious export award against such quality competition but put the win down to a great brand coupled with a fantastic team spirit from an incredibly export focused company (Lifestream already exports over 65% of it’s products to over 20 countries worldwide such as Australia, the UK, Sweden, Iceland, Czech Republic, Holland, Finland, China, Korea, Singapore, Hong Kong, Malaysia, Taiwan and Thailand). In what has been a couple of very tough years for exporters the team at Lifestream were able to grow the companies overall export sales by 18%. In 2009 Lifestream opened up three new export markets (China, Greece and Mongolia) and launched 7 new products. Registration process is currently underway in Norway and Germany. Lifestream is a privately owned New Zealand licenced manufacturer and marketer of more than 60 natural nutritional products such as Spirulina, Aloe Vera Juice, NZ Certified organic Barley and Wheat Grass Powder, NZ Blackcurrant Capsules and Natural Calcium capsules. Lifestream employs over 30 full-time staff. The company is committed to supplying the best quality whole food supplements available – using no synthetics and no compromise. Lifestream is the NO.1 Supplier (by volume) of Spirulina and Aloe Juice to the Australian market. Lifestream was visited yesterday by the Rt. Hon MP Dr. Jonathon Coleman (Minister of Immigration, Minister of Broadcasting, Associate Minister of Tourism and Associate Minister of Health and MP for Northcote) who came along to congratulate the Lifestream team on winning the Exporter of the Year Award.